Comebacks are great, but when a team continuously goes back to the well looking for one more, the imperfect formula dries up and leaves them with nothing but a bitter loss to deal with. 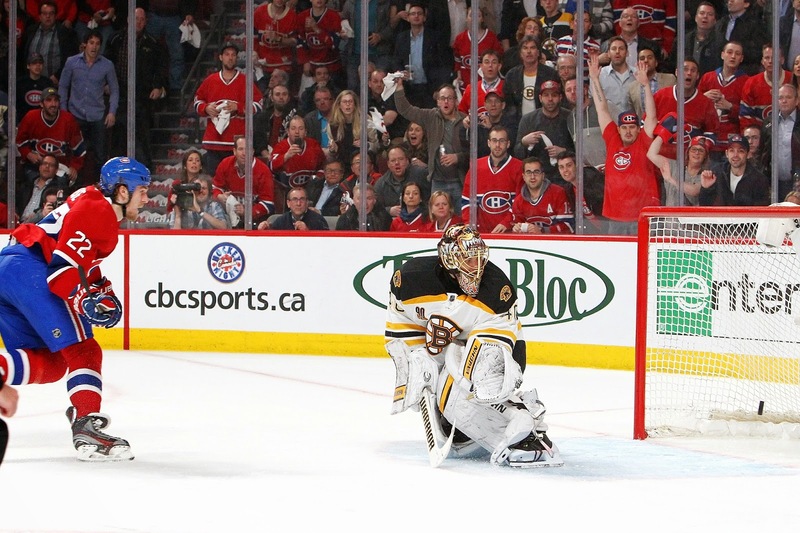 The Bruins continued to live, and on Tuesday, die, by the comeback as they dropped Game 3 versus the Habs at the Bell Centre 4-2. The Canadiens have again jumped ahead in the series, as they've taken a 2-1 lead with Game 4 to come Thursday in Montreal. Patrice Bergeron and Andrej Meszaros scored the two goals for Boston. Tuukka Rask turned aside 22 shots in the losing effort. Tomas Plekanec, P.K. Subban, Dale Weise and Lars Eller scored the goals for Montreal. Carey Price turned aside 26 shots for the win. For the third game in a row, the Bruins fell behind by at least two goals. Not exactly the type of thing you want to see when fighting for Lord Stanley's Cup. It was another game filled with inconsistencies, defensive breakdowns and a lack of effort from the Black and Gold. Through three games played, the Bruins have only led for 11:39 of total game time. That simply will not get it done when trying to advance in the playoffs. The top line of David Krejci, Jarome Iginla and Milan Lucic combined for just three shots on goal. 12 players finished with a minus-rating. More missed scoring chances. A lack of effort and a lack of urgency. The Bruins started out with a couple of decent chances in the first few minutes, with one coming from Patrice Bergeron and the other from the Merlot line. Brad Marchand found Patrice Bergeron in the slot but Bergeron couldn't get the shot off as David Desharnais got the stick check on his hands, preventing a clean chance. Shawn Thornton had the other good chance on net, as he fought through a stick-check in the faceoff circle and fired a pretty good shot that hit Carey Price. The resulting scrum around the net pressured the Habs into icing the puck, giving the Bruins one of the few extended periods of play in the offensive zone. But it was the Habs who scored first through Tomas Plekanec at 10:57 of the period. P.K. Subban left a deft touch pass to Thomas Vanek at the blueline. Vanek pulled the ultimate troll move by faking the dump into the corner and instead doling out a slap-pass to Plekanec at the back door. With Kevan Miller biting hard on Vanek's fake, he left the open real estate for Plekanec to sneak in and smash the puck home past the diving Rask. Two minutes after the goal, P.K. Subban hit Reilly Smith high with a hit in the neutral zone and gave the Bruins the first powerplay in the game. But the B's couldn't do much with the man-advantage, and instead of scoring on the chance, they got scored on after it ended. As Subban exited the box, he received a breakaway pass from Lars Eller and deked out Rask for his 3rd goal of the series. The Bruins couldn't hold the puck in the offensive zone and Eller came out to the neutral zone with possession. Dougie Hamilton charged Eller, and Bergeron watched him at the same time as he came up along the boards. Subban was able to sneak in on the other side and bear down on Rask. He pulled the stick-fake to send Rask to the ice and buried it past his left pad. So, as has been the norm so far this series, the Bruins found themselves down by two goals and having to play from behind for a majority of the game. The second period saw more of the same from what we've seen in the series, as the Habs continued to weather the storm from the B's and then in a quick burst struck fast on a counter-attack. With the Bruins having more chances go by the boards, including an open-ice slapshot from Torey Krug, Jarome Iginla hitting the post and Carl Soderberg fanning on a shot right on the doorstep of the crease, Montreal added to their total by way of another breakaway. After Daniel Briere blocked a shot from the blueline, Mike Weaver was able to find Dale Weise as he split the middle of the ice and bared down on Rask. He converted the chance at 13:52 of the period and gave the Habs a 3-0 lead. The Bruins were finally able to get on the board by way of a Patrice Bergeron deflection from a Torey Krug shot at 17:48 of the period. Bergeron won the faceoff clean over to Brad Marchand, who flicked it back to Krug just inside the blueline. 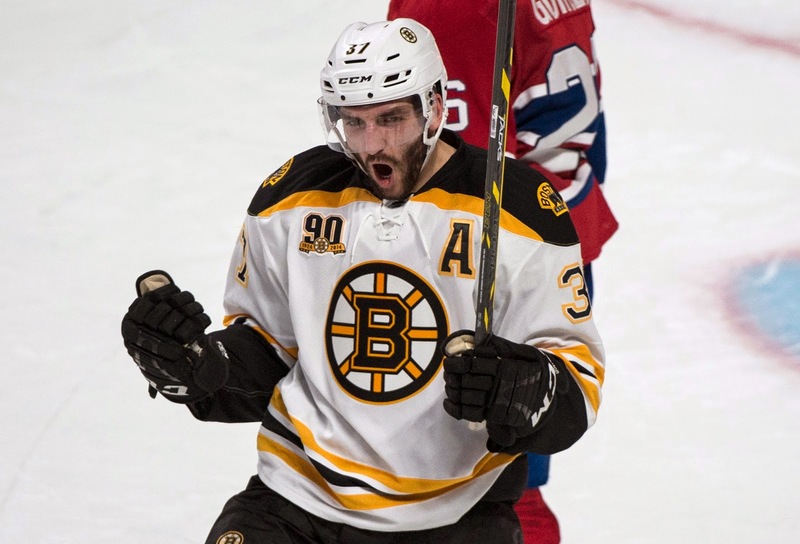 Bergeron got his stick blade on Krug's shot to deflect the puck past Price for his 5th goal of the postseason. The Bruins came out on fire to start the third period, but Price and the Habs continued to stifle the Black and Gold and turn pucks aside. Boston only managed seven shots on total through the period, and only one got through, an Andrej Meszaros snapshot from the slot that beat Price with Iginla screening in front at 17:44. With Tuukka Rask pulled for the extra skater, the Bruins were able to get one back and get one step closer to completing another epic comeback. But as was the case in Game 1, and almost the case in Game 2, it was too little too late for the B's. Game 3 saw Boston again struggle to put forth a full 60-minute effort, and it cost them to the tune of a 2-1 series deficit. With the 4-2 win, Montreal has again jumped back in front for the lead in the series. Through three games played, the Habs have had the better of the play over Boston, and it shows on both the scoreboard and the eyeballs. The Habs have been quicker. They've been harder on the body, on the stick and on the puck. They've capitalized on their scoring chances while the Bruins have let theirs slip by the wayside. Boston has saved their best effort for late in all three tilts, and that simply will not get it done versus their hated rivals. Playing from behind will only serve to do the Bruins in as they try to advance to the Eastern Conference Finals. Game 4 is Thursday night in Montreal.